Today we’re sharing with you a beautiful bridal collection by Pronovias Barcelona for 2019 that will make you fall in love! The new collection includes dreamy wedding dresses made of the best quality fabrics such as lace, silk, tulle and embroidery which offers a distinct and elegant style. Unique designs in Medieval style, open sleeves, 3D flowers, wings and sensual deep backs will embrace the female body and make every bride shine! If you’re dreaming of a classy, elegant look then these creations are ideal for you! Admire them in the following photos and select your favorite one… Such a difficult choice! 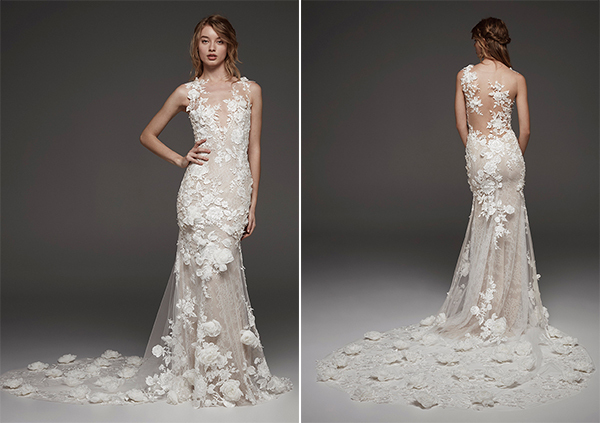 We are excited to share today the new bridal collection by Idan Cohen, ‘Lost In The Garden’! Stunning wedding dresses with embellished and embroidered details that will mesmerize you!